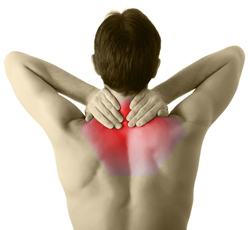 Back pain and neck pain are very common, inconvenient and debilitating. Whichever you suffer with, it prevents you from doing what you love, be it golf, horse riding, sports, gardening or playing with the kids. Back pain is also the largest cause of long-term sickness from work – can you afford to be off work with a bad back for even a day? Back pain can occur for a number of reasons and in varying locations. It can be felt as a dull ache to burning or sharp stab, it can also radiate to other places such as the buttocks or legs. Neck pain also can occur for a number of reasons and the sensations that are felt can vary from stiffness to a dull ache to a burning or sharp stab. The pain can also travel down the arms to the fingers causing numbness or pins and needles. Headaches and shoulder pain are also very commonly associated with neck problems. The different locations and sensations are all signposts as to the cause of the pain – the pain is just a symptom, usually one of many, not the cause. Back pain can be caused by a number of things from tight muscles, ligament strain, incorrectly moving joints, pregnancy, osteoporosis, or other more serious conditions. Similarly neck pain can be caused by a number of things from whiplash type movements (not just from traffic accidents), sports injuries to other more serious problems such as arthritis.